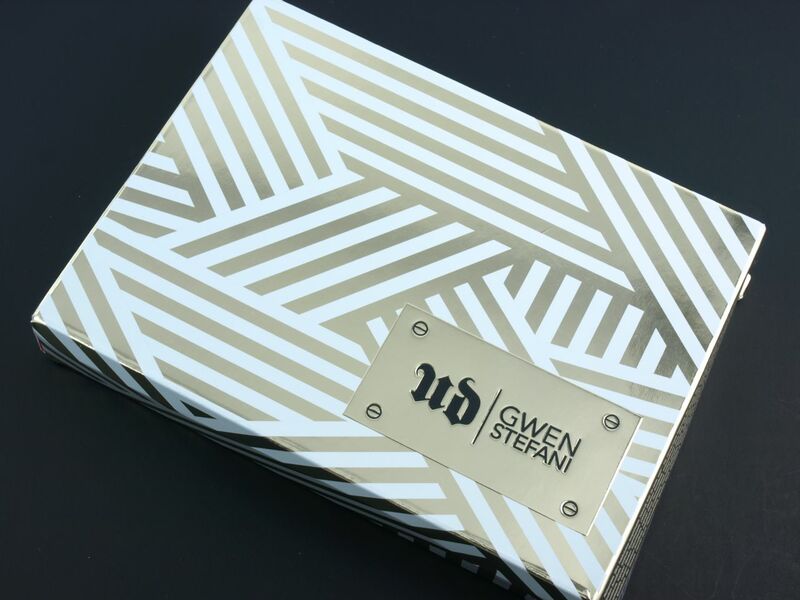 Urban Decay has been consistently coming up with amazing packagings these last few years but I think this Gwen Stefani collab tops them all! 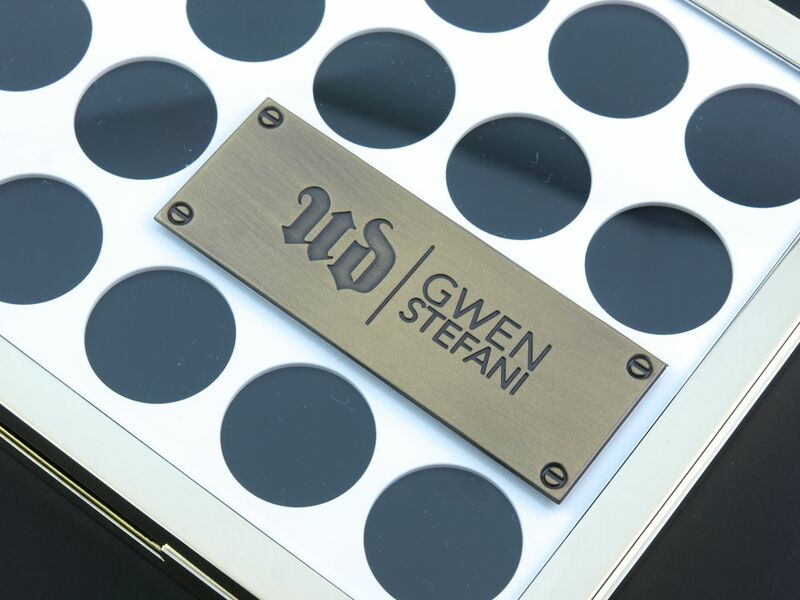 With a graphically mod black, white and gold design, the eyeshadow palette comes in a very well-made case. The lid alone features some of the most beautiful designs I've seen; with white cutouts over a black background it's actually triple-layered to create a unique three-dimensional feel. Inside is a huge mirror with the words "Magic's in the Makeup" (which is actually a No Doubt song) embossed on the corner of the mirror. The shadows are round and 1.4 grams each. Last but not least, the palette has a convenient and snazzy magnetic closure. 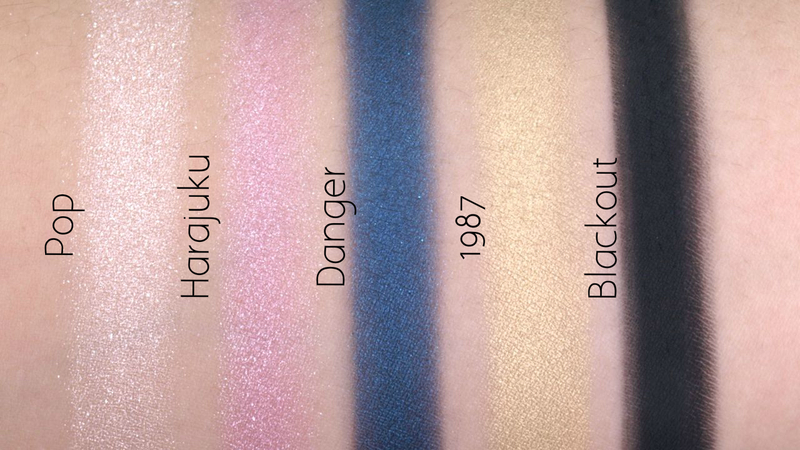 When I first heard about the UD x Gwen Stefani collaboration, I was expecting to see a lot of bold and bright colors so I was really shocked when I actually saw the first picture previews of this palette. 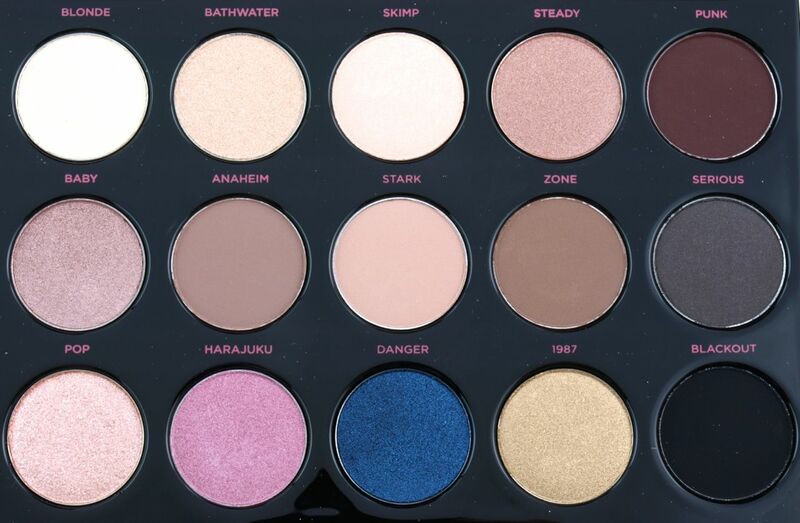 Out of the 15 colors, pretty much 12 of them are neutral, everyday colors (and a lot of them are mattes)! 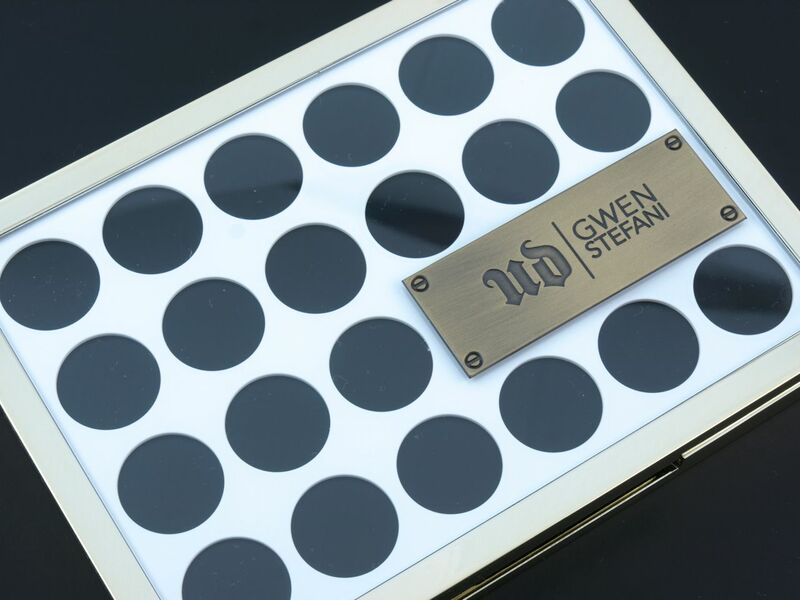 Gwen actually spent a long time working on the palette with Urban Decay, so 12 of the eyeshadows are brand new, never-before-seen shades. 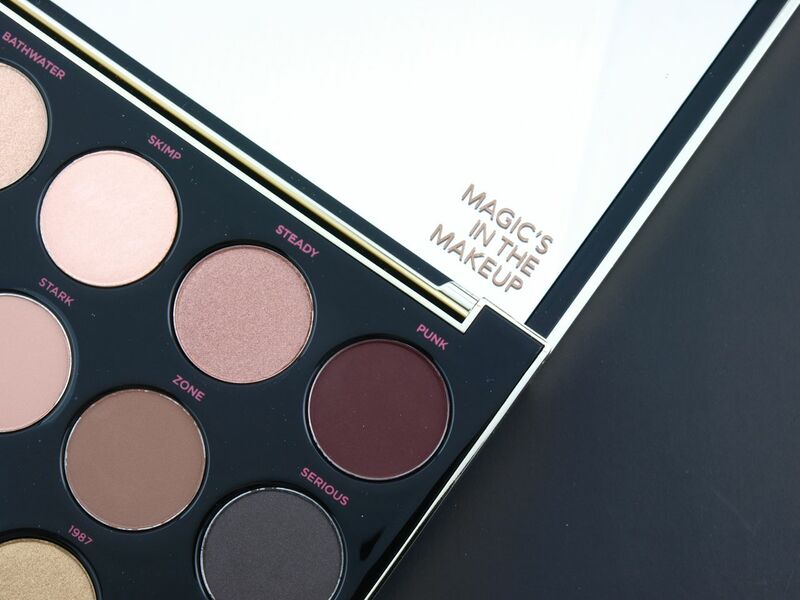 In terms of formulation, I feel like there are quite a few hits, but also a handful of misses, especially with the mattes. 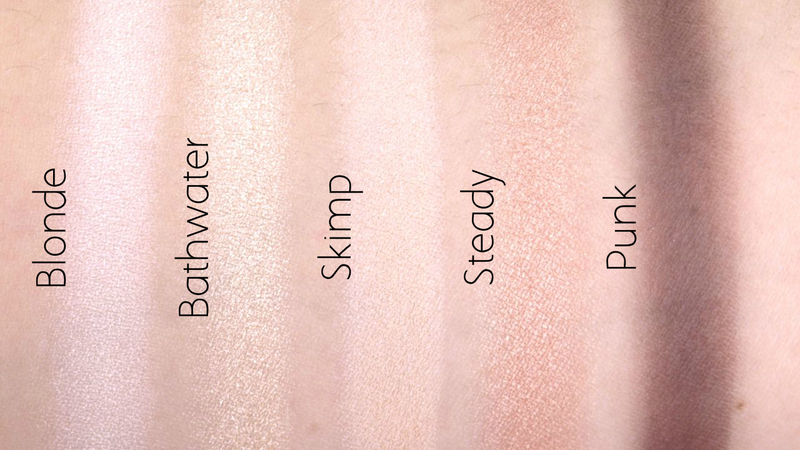 Read on below to see my review of each of the shades. 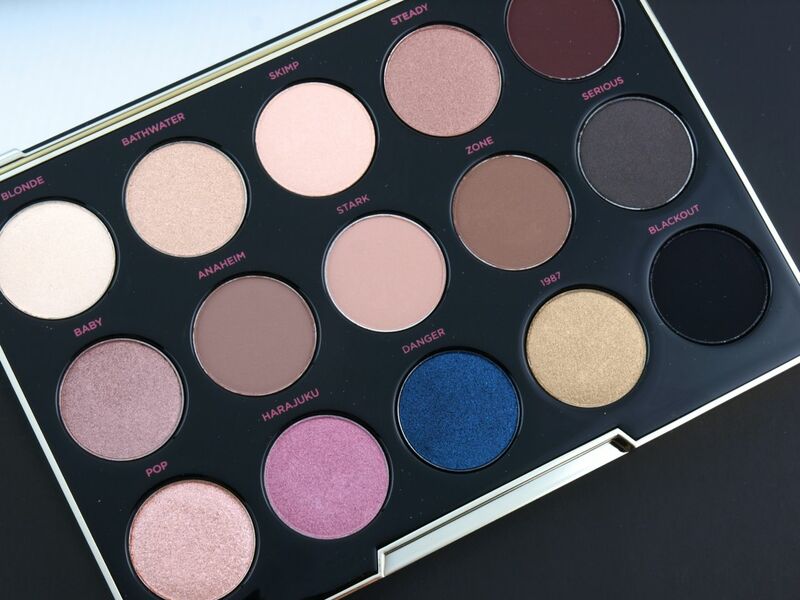 If you love neutrals then you are going to love a lot of the shades from this palette. There are some great finish variations so you have lots of options to choose from. 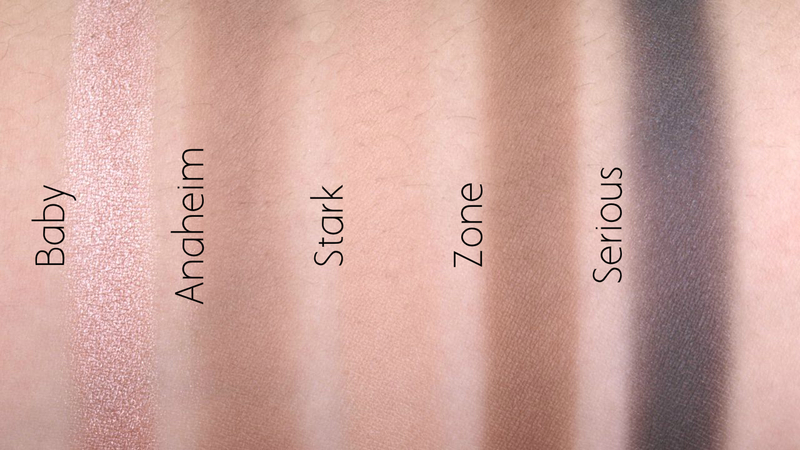 "Danger", "Baby", and "Steady" are a few of my favorites but unfortunately I found "Anaheim", "Punk", "Serious", and "Pop" to be a tad underwhelming in terms of formulation. With all of that said though, the packaging alone has pretty much won me over. I am not a big fan of the overall color selection but if you like the colors you see, then definitely check this out! Urban Decay is available in stores and online at Sephora (November 22nd) and select Shoppers (December 1st).